Age brings us many rewards but there are some hard facts we need to face—one of them is how we make our final wishes known. It is critically important we organize our personal information, family finances and the like so that our loved ones are not burdened with hardships that could have been avoided. And that is why this conversation is especially helpful. 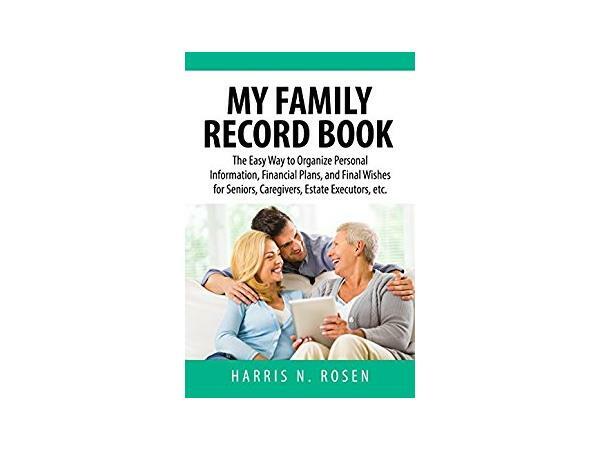 Harris Rosen has written a fabulous guide that will help you organize it all. It’s called My Family Record Book, and he joins us to share all about it. If you care about leaving your loved ones with the information they need to make your passing a little easier, you will want to be sure to listen to this show. The subject may be a hard one but the message is critical!